There's no doubt that this is a very impressive debut that promises much. Anneke van Giersbergen came to prominence as the singer with The Gathering back in the mid-nineties and subsequently through collaborations with the likes of Arjen Lucassen (Ayreon, The Gentle Storm) and guest appearances on albums by Devin Townsend, Danny Cavanagh (Anathema) amongst others (apparently, she often struggles to say no when asked to contribute to projects). Recently she's been concentrating on the folky side of her nature, but with this new venture she has delivered arguably her heaviest set of material yet. 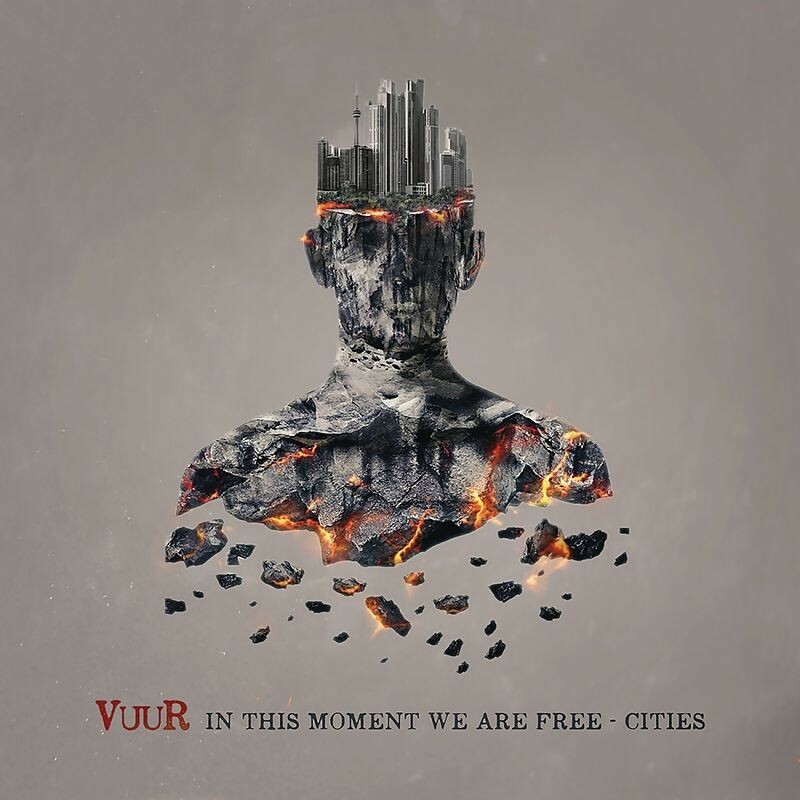 The idea for VUUR (which translated from Dutch means fire or can also be used as passion or drive) came when van Giersbergen was touring with The Gentle Storm and realised just how good the young band members were and asked them to join her for something much heavier. Consequently, she is joined by the always reliable Ed Warby (drums), Ferry Duijsens (guitars), Johan van Stratum (bass), whilst Joost van den Broek changes from keyboards to producing and co-writing. In addition, there's Jord Otto on lead guitar who on this evidence is a prodigious player and knows how not to stray into mindless widdle territory too often or for too long. Other co-writers include Mark Holcomb (Periphery), Esa Holopainen (Amorphis) and Daniel Cardoso (Anathema). The material is firmly in the Progressive Metal genre with the twin guitar attack giving rise to some djent stylings here and there. It's pretty much all-out attack for the first four numbers and it's only 'Freedom – Rio' where the pace slackens on the verses, juxtaposed with heavier choruses and a superb solo from Otto. The vocals from van Giersbergen work wonderfully on this number which makes it my personal highlight. Each of the eleven tracks is inspired by a city and either stories relating to it or a vibe van Giersbergen felt when visiting. 'Days Go By – London' apparently takes inspiration from the Great Fire. Needless to say, 'Save Me – Istanbul' has a Middle-Eastern undercurrent and for me is a tad too florid for my taste. The album closes with 'Reunite! – Paris' which like 'Freedom...' offers more light and shade. The vocal arrangement is spectacular. There's no doubt that this is a very impressive debut that promises much, not surprising given the talent involved, and it will appeal to fans of Ayreon, Within Temptation and bands of that ilk.